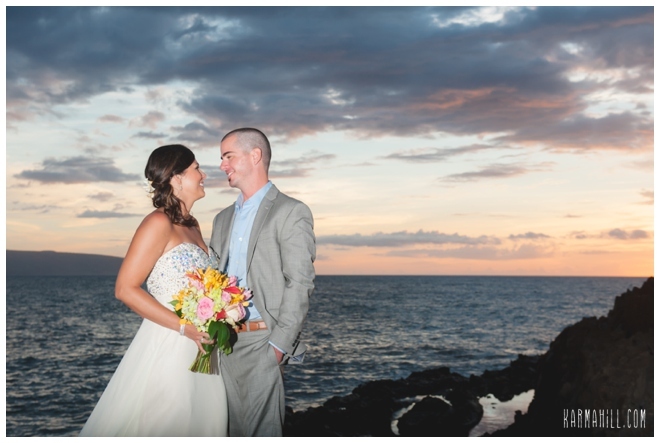 Kari & Nick were so excited to be married in Maui! 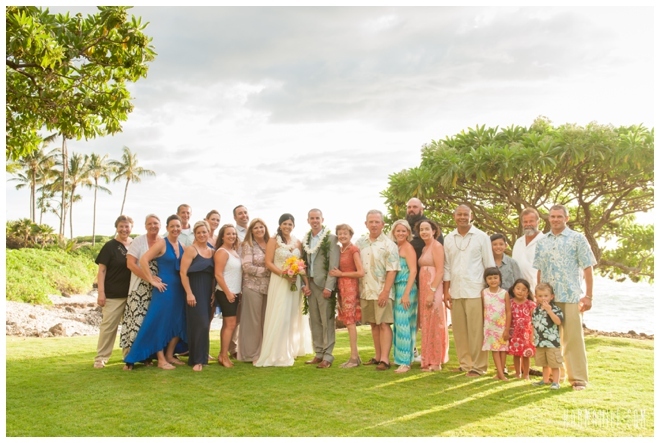 They were joined by their closest friends and family at the gorgeous Kukahiko Estate in Makena. 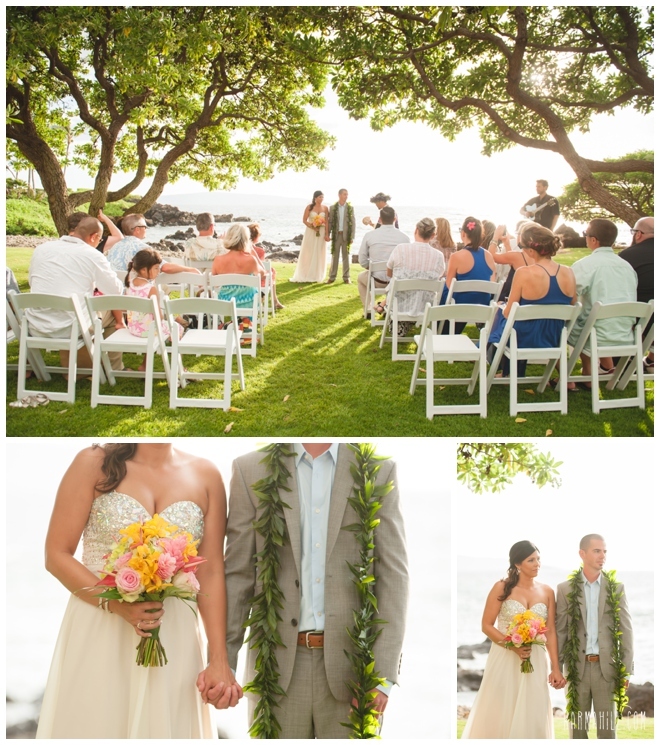 The waves crashed in the background as they exchanged their heartfelt vows to each other. 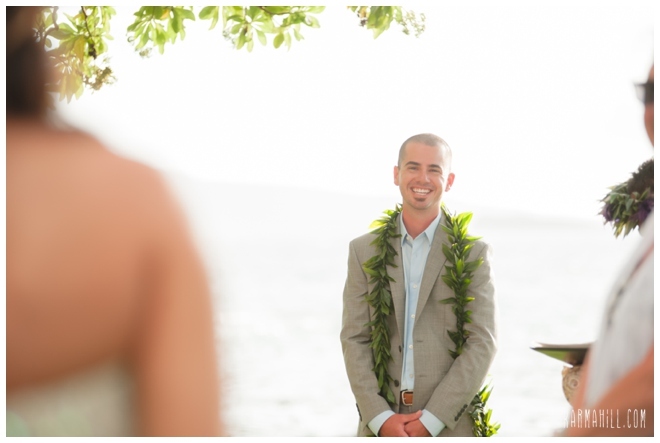 Reverend Kimo Kirkman officiated their ceremony and then staff photographer Naomi took the couple around the property for their romantic couple's pictures. 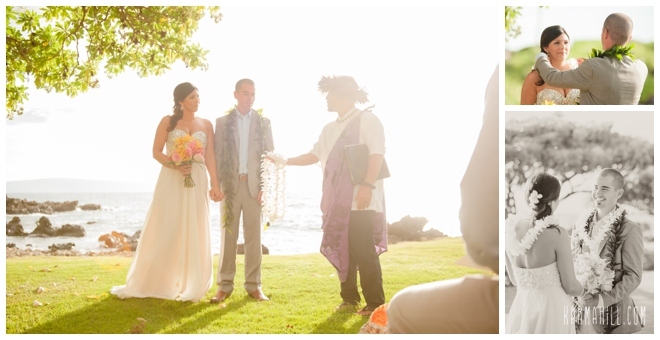 Kukahiko Estate offers amazing backdrops for these shots. 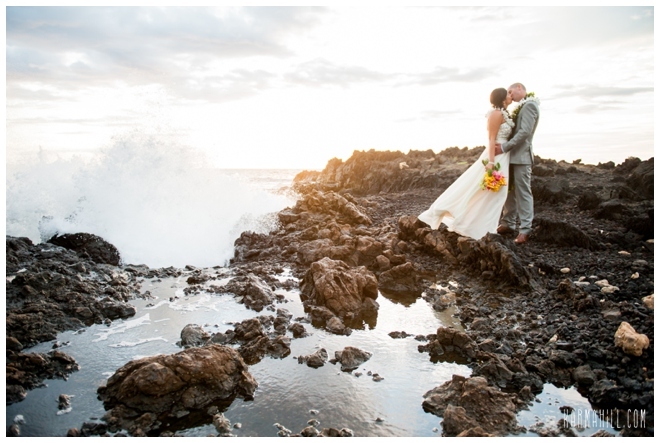 They walked out onto the rocks and took advantage of the rough water splashing next to them. 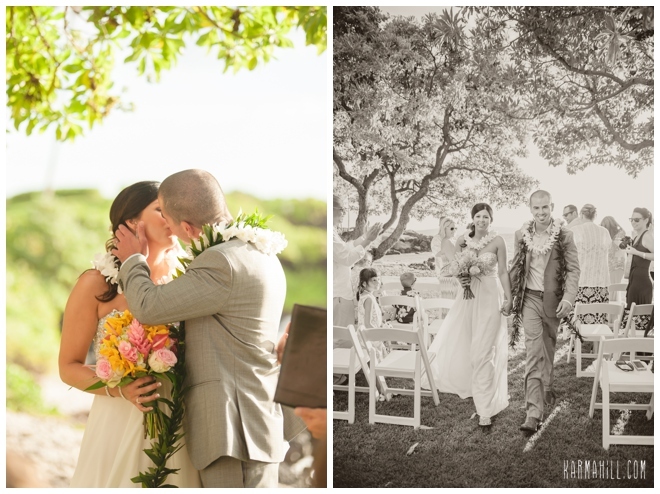 We LOVE these action shots and the drama is brings to the pictures. 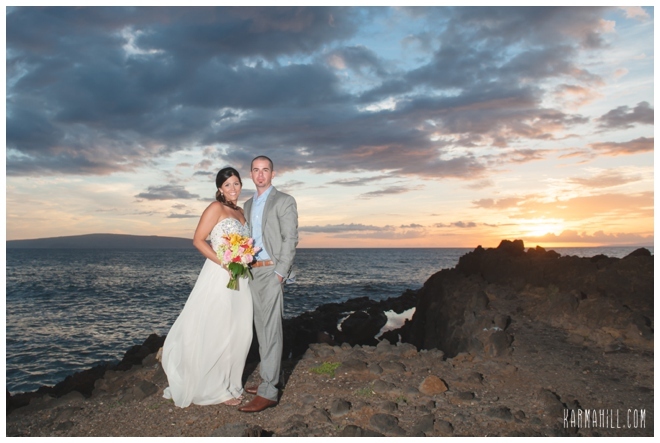 The sunset this particular evening was beautiful as well! 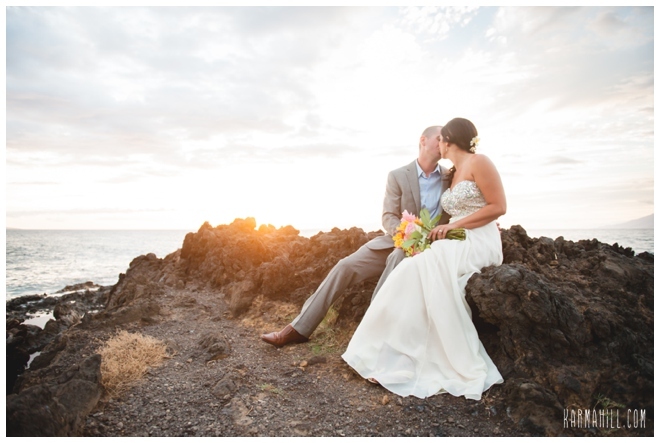 Thank you so much Kari & Nick for choosing Simple Maui Wedding to capture your Maui wedding day! 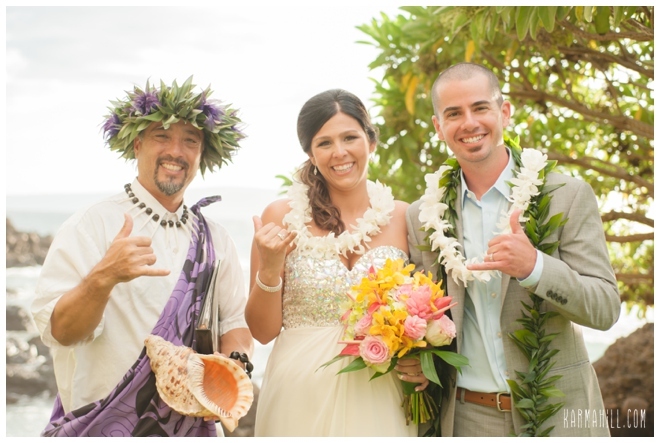 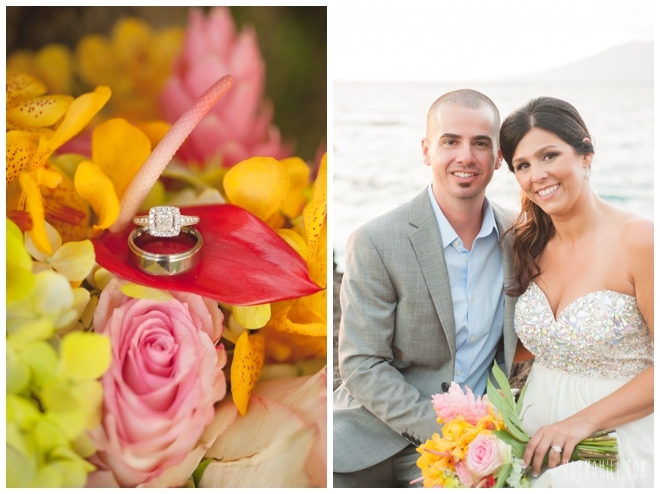 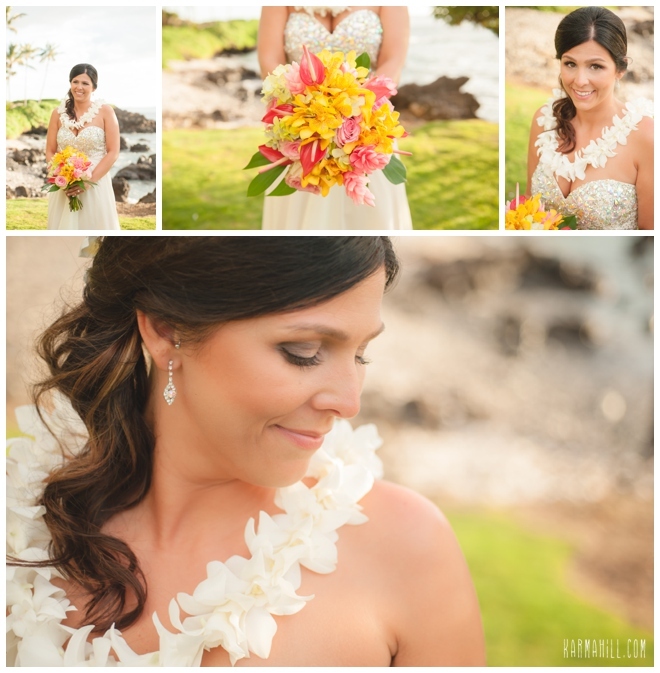 Check out our last Maui Venue Wedding with Deby & Kenny!